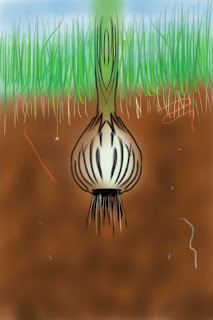 This is a "Portrait of Onion". Drawn using Sketchbook by Autodesk on an iphone 3gs. By me. ANYWHO, not claiming its awesome or anything, it just is what it is. nice blog man. Just subscribed to it, make sure to follow me. Clearly, that is in fact, definitely, maybe an onion.